Sheer Moisture SPF 20 Light - Dermalogicas new Sheer Tint Moisture SPF 10 is a lightweight, oil-free moisturizer, with SPF 20, and a sheer wash of color-All in one tube! 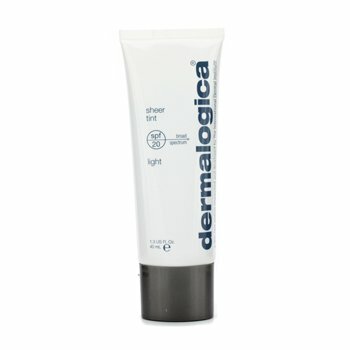 Natural zinc oxide minerals protect against sunlight, provide a sheer wash of color, amd make skin radiant, while extracts of Olives and Walnut Seeds provide antioxidant protection and improve skin texture. A full spectrum sunscreen provides further solar defense. Perfect for daytime, either alone or under foundation.